Equilibrium adds powerful job management capabilities, from lead to job completion, to ensure excellence in operations, completely customizable to how you do business. Margin Protection: Set warning flags if jobs don’t meet expected margin minimums. Notifications: Get notified via email or text messaging when important events happen on your jobs. Tasks: Automiatcally create follow up tasks and reminders so you never let anything slip through the cracks. Custom integration: Create powerful triggers to send customer and transaction data to your accounting system when you need it. 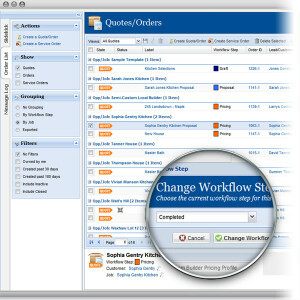 Equilibrium validates your quotes and orders at any point in the process. Eliminate the need for your back office to harass your sales team for missing information. Equilibrium ensures you get the right kind of quotes at the right margins with the right information come ordering time. Set GP targets: Equilibrium can check quotes before they go out the door to ensure gross profit targets are met. 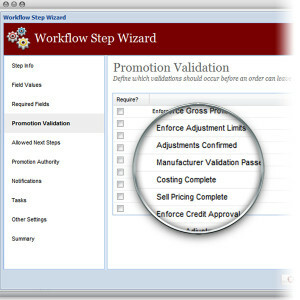 Adjustment limits: Control how much employees can adjust from your planned margins. Credit approvals: Stop quotes from going out the door – even in remote locations – if customers are on credit hold. 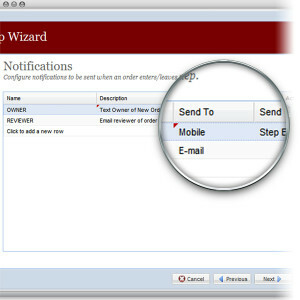 With Equilibirum’s workflow notification engine, you can send emails, texts and even assign tasks or appointments to certain people or roles. No one will ever be out of the loop again. Mobile and email: Send your team automated emails and/or text messages. Entry and exit events: Kick off messages when you enter or exit a certain point in your processs. Employees, groups and roles: Send messages to individuals, groups of individuals or roles (i.e. send everyone with the role reviewer a message). Whether it’s paperwork to sign, things to drop off or someone to be notified, sometimes things just fall through the cracks. Equilibrium’s workflow engine can create automated tasks, appointments, and to-do’s at any point in your process. To-do’s and appointments: Generate template to-do items and assign them to your team at certain points in your process. Deadlines: Introduce deadlines on your tasks and to-do items to ensure employees finish them on time. 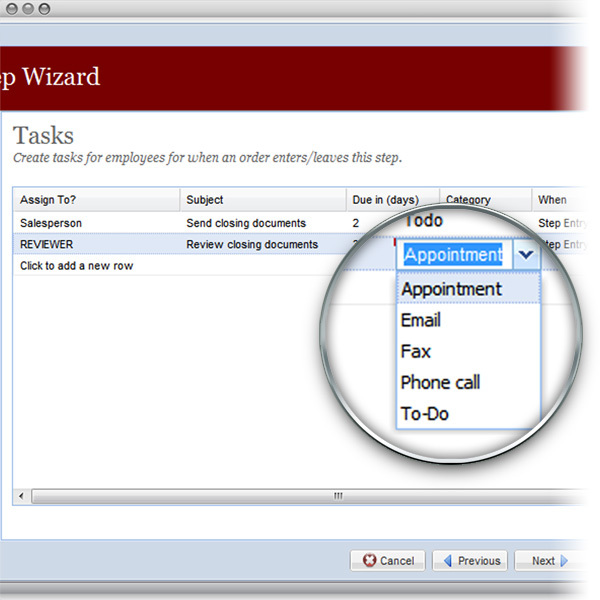 Employees, groups and roles:Assign follow ups to individuals, groups of individuals or roles (i.e. assign everyone with the role purchaser a task). 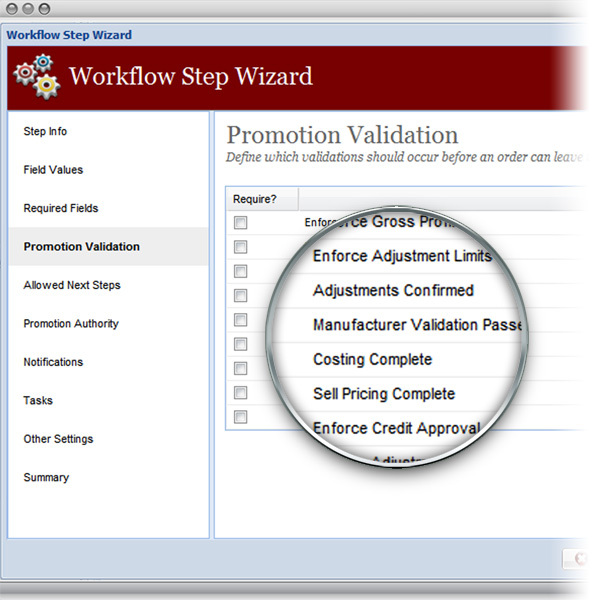 Customize the integration you want with your accounting system. Whether it’s an AS/400, Unix or some other ancient artifact, we’ve seen it all before. You can sync customer, sales order and purchasing data at any point in your process. 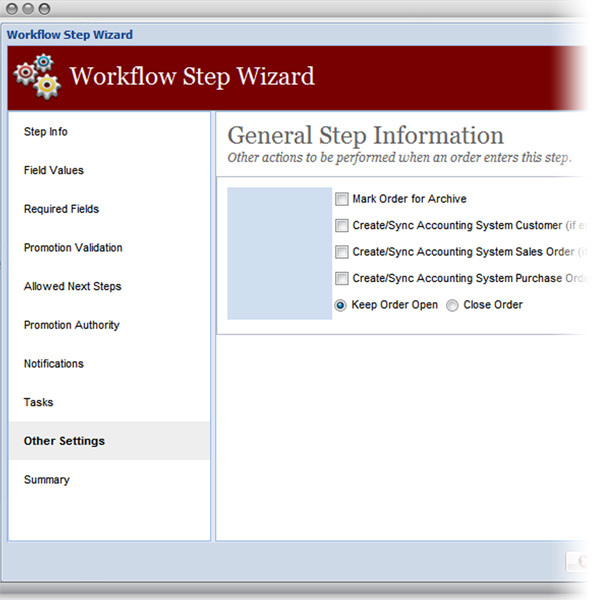 Customization: Build powerful integration with your accounting system. Timing: Control when customer information, sales orders and purchase orders are shared with accounting.